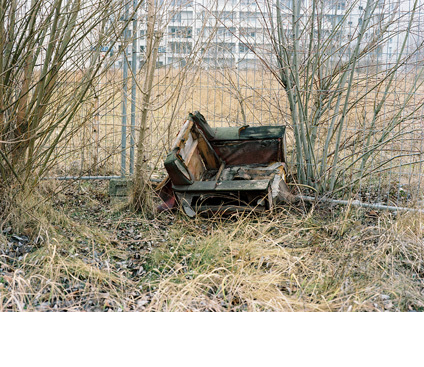 An area of wasteground in Berlin, where the Berlin wall once stood, is searched for objects discarded by residents of the area, such as an old armchair, bicycle, and more. The objects are collected and then shredded at an industrial waste disposal plant. The resulting dismembered pieces are replaced at the spot where each object was found. In this way the site’s entropic processes are speeded up a little. A video of the shredding is played on the site.